Here are some more study results presented at the IACM Cologne Conference on 12-13 September at the Medical School of the University of Cologne. Erroneously the poster abstracts by Dr. Rudolf Brenneisen et al., Dr. Zlatko Mehmedic et al., and Dr. Miriam Schneider and Dr. Michael Koch had not been included in the first reader. 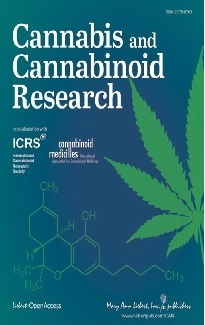 Please find online the updated reader with both lecture and poster abstracts on the IACM web site (www.cannabis-med.org). At the Fourth Congress of the EURopean Federation of IASP Chapters on 2-6 September 2003 in Prague two new clinical studies on cannabis products in multiple sclerosis were presented, one by Danish researchers who investigated the effects of THC (dronabinol) in 24 MS patients and one by British researchers who studied the efficacy of a sublingual cannabis spray in 66 MS patients. Under the guidance of Dr. KB Svendsen of the Danish Pain Research Center of the Aarhus University Hospital, 24 MS patients with neuropathic pain underwent a double blind placebo controlled crossover trial with dronabinol (THC), which was titrated up to a maximum of 10 mg daily. The two three week treatment phases were separated by a three weeks wash out period. Spontaneous pain intensity decreased significantly during dronabinol treatment compared with placebo. Pain relief was significantly higher during dronabinol. Drs. 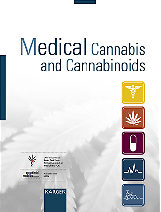 CA Young and DJ Rog of the Walton Centre for Neurology and Neurosurgery in Liverpool presented results of their placebo controlled parallel study with a sublingual cannabis spray containing 2.7 mg THC and 2.5 mg CBD per spray, of which they could take up to 48 units a day, in 66 MS patients. After four weeks there was a significant mean reduction in pain for cannabis and a significant reduction in sleep disturbance. THC and a cannabis extract with a mix of THC and CBD reduced the pain in 48 patients due to damage of the brachial plexus and improved sleep quality. The study was a randomised double-blind crossover trial consisting of three 2-week periods. Patients continued on all previous stable medications including analgesics. During each 2-week period, subjects received in random order either placebo, THC (18,25 on average) or a mix of THC and CBD (cannabidiol) with a ratio of 1:1. THC and cannabis were applied as a sublingual spray. Ignoring the appeals of its health minister, the National Council (Swiss Lower House of Parliament) on 25 September blocked government moves to decriminalize cannabis. After an emotional debate, the National Council voted 96-89 to take no action on the government's proposed narcotics law revision. This means the legislation will be kicked back to the Council of States (Upper House of Parliament) which overwhelmingly approved it in December 2001. The government argued that police resources were too stretched to enforce restrictive and outdated laws, with an estimated 500,000 people out of a population of 7 million being occasional or regular soft drug users. "Bans on cannabis and alcohol have always proved a failure," Health Minister Pascal Couchepin said in an impassioned speech to parliament. He said the proposed legislation aimed to step up preventive measures and cut down on black market profits. In practice, cannabis users rarely face police sanctions as Switzerland is more relaxed about drugs than many other countries. However, there are big local variations and - given the legal grey area - police often alternate between tolerance and repression. The upper house will reconsider the legislation in one of its forthcoming sessions. It can either amend it or send it back unchanged to the lower house. Supporters of a more liberal drug policy hope that the package will finally win parliamentary passage once the pressures of the general election have eased.